In this article we will go through some code that I like to use to make dismissible notices where the dismissal persists between page refreshes in the WordPress administration screens. Upgrade prompts, notices, and alerts should be limited in scope and used sparingly or only on the plugin’s setting page. Any site wide notices or embedded dashboard widgets must be dismissible. Error messages and alerts should include information on how to resolve the situation, and remove themselves when completed. So for those of us aspiring to be hosted on WordPress.org it’s a necessity, rather than a luxury feature, to be able to let the user dismiss notices persistently. WordPress tradition has it that you store an option in the database. That way you know not to show the same notice again. But this is something that you have to do over and over again, so it’s exactly the kind of thing that you want to include in all your code as a library. You want something that can be easily called from wherever, so the tried and true singleton pattern will do. You need the ability to be able to assign a slug to your notice, so you know how to store it in the options table. But you also want to be able to show the occasional non-dismissible notice. Finally, let’s be nice and clean up after ourselves. The options will be deleted when our plugin is uninstalled. Nice. This is a useful bucket where we can throw in notices. They will be retrieved for rendering only later, when we will add code to the admin_notices action. Notice the visibility of the functions. The four public functions that comprise our API all defer to the private function that does the data collection. 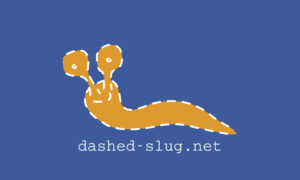 We’ll let the user enter a message string, and optionally give a slug with the dismiss_option parameter. If set, this will be part of the database option’s slug. * Admin code for dismissing notifications. …and this is the code that will set an option in the database. Note how the name is constructed from the GET parameter in the request URL. Once the option is set, we can just let WordPress die. No need to return the admin interface to the browser, this is just a background AJAX call. Unfortunately, even in this day and age, many developers don’t think it’s important to clean up the trash they leave in the poor user’s database. This is even more infuriating when you consider that it rarely takes more than a couple of lines of code. Don’t be that guy. Create an uninstall.php file with the following content. If you put together all of the above you already have a nice way to show persistent dismissible admin notices. But why stop there? We can hack away some more and make sure that any runtime errors in our code show up as notices too. Imagine a clueless user sees your theme not working. Which do you prefer? To have to explain to them how to enable debugging and how to find and send you the logs from the wordpress unix directory on the host? Or do you simply ask them to copy the error on the screen and send it to you via email? This will pop your error handler from a stack and return to whatever error handling mechanism was there before. Make a habit of surrounding your function bodies with these two lines, and you will know that whatever happens, you’ll at least get a visible user-friendly and developer-friendly error message on the admin screens. Please comment on what you liked or didn’t like in my code. What would you have done differently? Can you spot any bugs? Nice code, it would be good to see WordPress do this as part of their is-dismissible. Would be nice to see this article show how one would make an admin notice appear using the class. Yes this is one feature that should eventually go into core I think. Of course it will not work if you call it after the admin_notices action fires. I’ve been through this and a couple of things I’d tweak (personally). You are correct in that this is a good improvement. As for transients, I would like to use them in theory, but I’ve found many times that they do not operate as expected in actual people’s installations. Haven’t dug deep into this though. If they work for you, then great. Thank you very much for sharing your code! Good article. I’ve used it to build dismissable global notices in my WP plugin. any chance you can make a plugin out of this. I would like to hide notices that do not have dismiss options. running a multisite it is very annoying. The instructions in the article are for plugin developers, to make their own notices dismissible. The plugin you suggest would be very different and I believe many such plugins exist. After a quick google search it seems you are looking for something like WordPress Notification Manager?